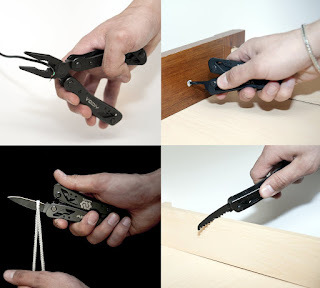 Ombir Pro Multitool by Vodiy is the last multi-tool you will ever buy. I was so excite to get this versatile tool tool for my husband. It shipped out very quickly and was well packaged. 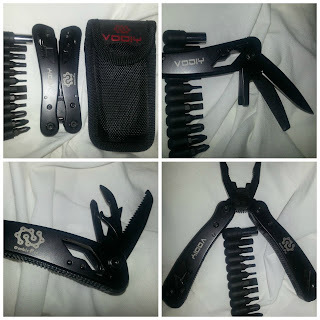 Ombir Pro Multitool by Vodiy comes with it's own case that has a loop so it can easily be attacked to your belt. The case is a great way to keep it all together including the bits. It is heavy weight, around 9 ounces and has a great hand feel. It also has a very comfortable grip. This would be perfect for camping, in the home or to put in your automobile. It puts 25 tools at the end of your fingers in one compact design. 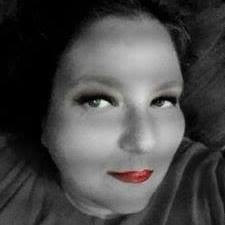 It is very easy to switch between tools but a warning the knife is very sharp. (yes, I found that out the hard way)This durable, high quality stainless steel Ombir Pro Multitool by Vodiy is just the bees knees in my book! This would make the perfect gift for that handy person in your life. 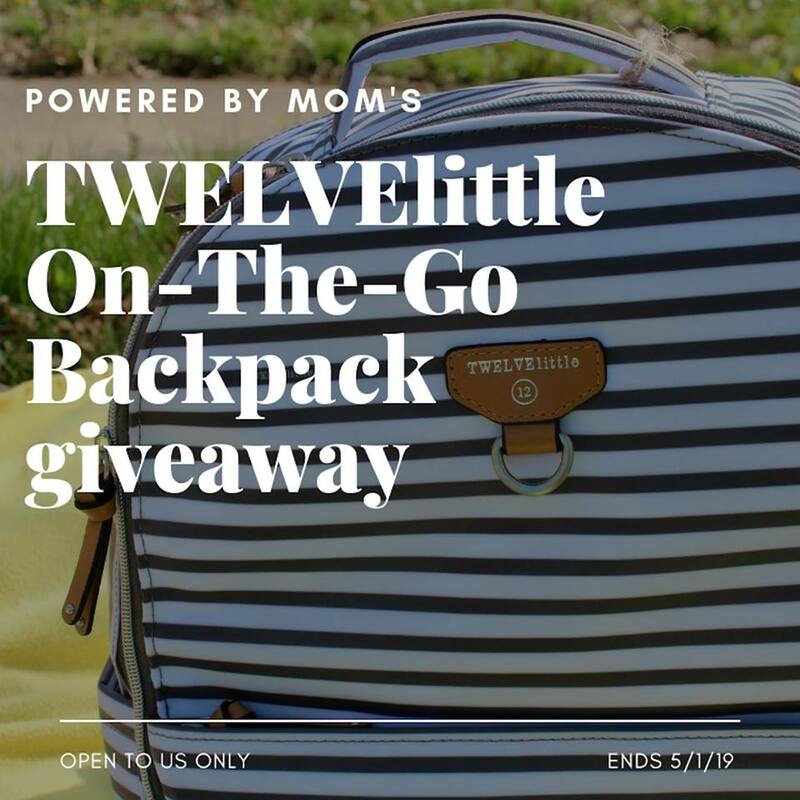 Christmas, birthday, fathers day, mothers day or any day! multi-tool will ensure that you always have the convenience of solving these issues instantly. 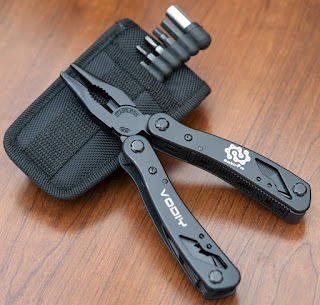 In the back pocket of the nylon sheath you will find eleven hefty screwdriver and hex key bits that will add on to the functionality of the tool. The multi-tool perfectly fits inside the nylon sheath. combination of quality, durability, functionality, size and price. STURDY - this tool is excellent for heavy duty. High quality stainless steel gives the tool maximum durability. Scratch and wear resistant with solid and strong sharp blades. FUNCTIONAL - Intended for daily use. 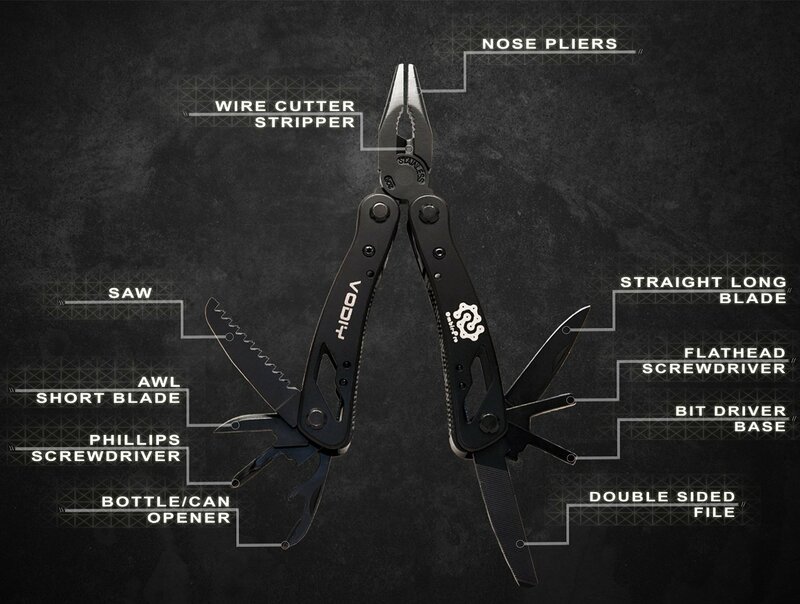 Flawless functioning tool contains spring-loaded pliers, wire cutter/stripper, very sharp knife and saw, bottle and can opener. Eleven separate screwdriver bits for increased functionality. 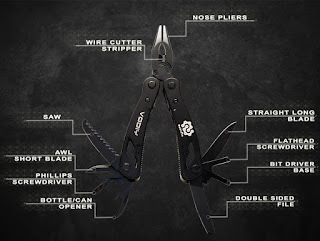 ECONOMICAL - full-size multi-tool measures in at just 4-1/4 inches|10.5 cm when folded and weighs 9 ounces. 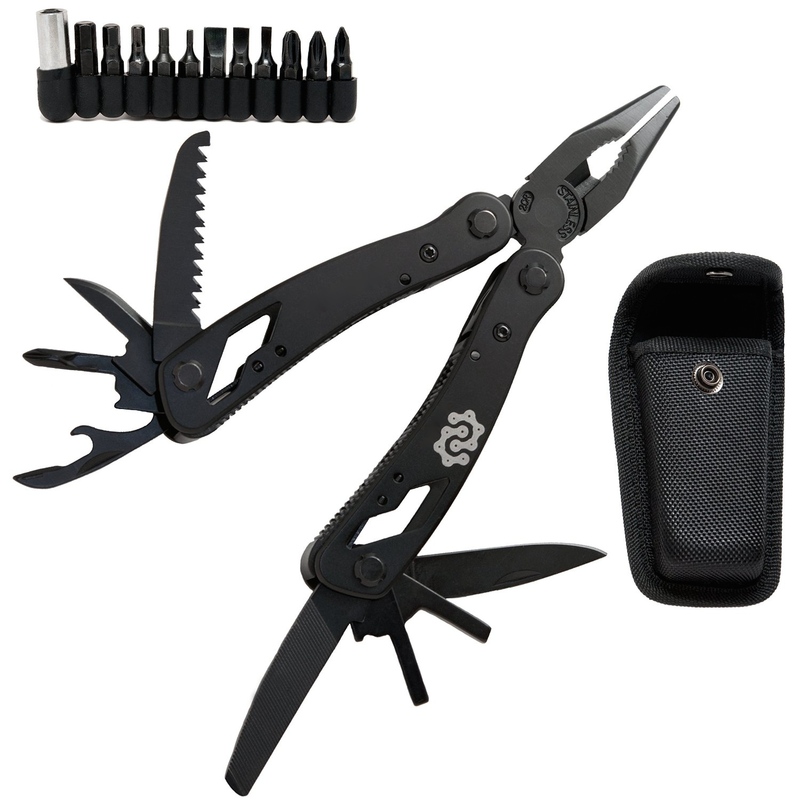 The tool comes with well designed high quality nylon carrying sheath that fits like a glove. Ombir Pro as the most versatile and efficient tool that delivers superior value for your money.